US First Lady Melania Trump has arrived in the country for a two-day visit to promote health, education and environmental conservation. Mrs Trump jetted in in an Air Force plane. 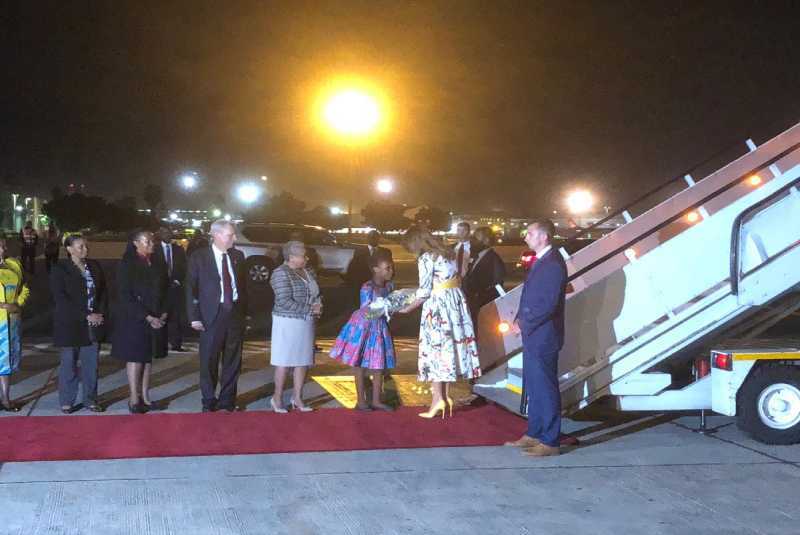 She has been received by First Lady Margaret Kenyatta and former US ambassador Robert Godec at the Jomo Kenyatta International Airport this evening. She has already visited Malawi and Ghana, and is later expected in Egypt. On her four-country, week-long tour of Africa, Trump is aiming to cast a more positive light on her embattled husband’s administration and its “America First” agenda. The 48-year-old is promoting her Be Best initiative, her official agenda unveiled in May designed to improve children’s well-being.